tis me... Zozzle! Wishing u all a happy birthday!!!! Ah wth! 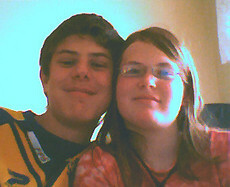 Oh... thx hun :) hi im Zoe and this is Keiran (bf). Im bored stiff since its the summer holidays and i havent drawn a single pic on 3 months... REQUESTS PLZ!!!!! Girls, Come and get me! Based on real people in my life, this story is imaginative, creative, and a bit gory too! funny mysteries solved by none other than Sherlock Tyson! Just A Simple Story, Hope You Like. The latest in the Flash legacy, Wally West is content in the knowledge that he will always be fast enough. But when something starts attacking him, something no one else can see and he can't outrun, will his confidence stand up to the test? Wheeljack looks back on his many years of friendship with the medic Ratchet... back to where it all began.